The EU’s top climate official is the Mick Jagger of eurocrats. 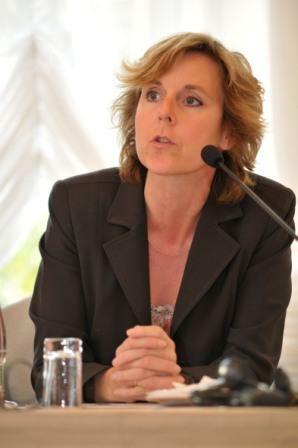 Connie Hedegaard has a reputation for being whip smart, politically savvy and intensely passionate about the need to move forward on dealing with climate change. This entry was posted in Climate change, Energy, Uncategorized and tagged Brussels, Cancun, cap and trade, carbon market, climate change, climate conference, climate negotiations, climate treaty, Connie Hedegaard, Copenhagen, DG climate action, EU, European union, hedegaard, kyoto, Liam Moriarty, Moriarty. Bookmark the permalink.